In this day and age, we're bombarded with negative images and ideas about the value and duration of romantic love and marriage. With a divorce rate between forty and fifty percent in America, it's difficult to remain confident about the state of love and marriage. I torture myself in the car on too many mornings, listening to War of the Roses, a radio show that exposes countless cheating significant others and spouses. Published in 2012, All There Is: Love Stories from StoryCorps, is a new collection of real life interviews about love and marriage, compiled and edited by Dave Isay. For those of you not familiar with StoryCorps, the basic idea is that pairs of people interview each other and have their stories recorded at special booths across the United States; some of these stories are later featured in books: Listening Is an Act of Love (2007), and Mom: A Celebration of Mothers from StoryCorps (2011). Having read and reviewed "the Mom book" in May of 2011, I was eager to read another StoryCorps book. All There Is is the brand new StoryCorps book, filled with touching personal stories about how people met each other, fell in love, and got married. I was moved to tears by some of these stories. The book includes a variety of love stories from people of different religions, races, ages, and sexual orientations; it depicts the real and beautiful diversity of America. It was refreshing to read good things about love and marriage for a change. I was inspired numerous times while reading this book, by the stories of Jane, Leroy, Cindy, and others, by the wife who became a doctor after her ten children were grown, by the husband who took to heart a list of six rules for a successful marriage (featured on the back cover of the book), and more generally, by love that continued to flourish despite disastrous illnesses and even death, and by the commitment these "ordinary" people demonstrated in their marriages. Divided into sections, the first section of All There Is is about finding love, the second part is about losing loved ones (through accidents and diseases), and the third section is entitled, "Found at Last". Fortunately the book ends on a high note, because when it comes to love and romance, many of us prefer a happy ending. Reading this book--right before Valentine's Day--was a terrific way to reaffirm the importance of romantic love and marriage, in a society that often seems to be superficial, pessimistic, and misogynistic. These stories tell a different story. Special thanks to Trish from TLC for sending me a copy of All There Is. For additional reviews of this book, please visit the other stops on TLC's All There Is book blog tour. I agree that we need stories like these, especially with how negative everything is around us. One of the radio stations around here does a segment in the afternoons called War of the Roses where they essentially trick people into admitting they're cheating by sending roses to someone else. It's awful and I hate it... I usually end up changing the station because it makes me so sad. I'll have to keep this book in mind, though I had Listening is an Act of Love on my shelf for the longest and never read it, lol. Jenny, thanks for stopping by. I think you'd truly enjoy reading StoryCorps stories. I did not expect to enjoy them so much! This sounds like a wonderful book. I think so many marriages end in divorce because people aren't truly committed when they go into them. I agree. I'm such a hopeless romantic and beleive in happy ever afters. I'm sure I would love this collection. Great post but it was so sad to read those divorce rate figures. I agree with bermudaonion in that many are not truly committed. After all a bit of romance is wonderful but there is so much more to making a relationship work. I love stories that show the love and commitment of marriage, and after reading so many books that feature the opposite, this sounds like a refreshing change. Wonderful review today, Suko! I need this book! OH … I so want to read this one! I still have LIstening Is An Act of Love to read though! Thank you, Suko for sharing with us this book just this day. I remember your review of The Mom Book. I love inspirational stories like this. It is definitely nice to read stories about great marriages. This book sounds really good! And *wow* about the mother who became a doctor after her ten kids were grown up! Naida, it's pretty remarkable what people can do! Thanks for your comment. I hadn't heard of StoryCorps, what a great concept. It's nice to read uplifting stories with all the negativity around us. I think I'd like this book. Excellent post! Sounds like an interesting read. This is the 2nd StoryCorps book I've heard of recently, and both sound absolutely wonderful. How have I not heard of StoryCorp before?!?! Thanks for being a part of this tour. 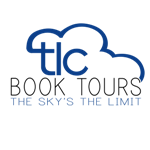 I'm featuring your review on TLC's Facebook page today. I've never heard of Storycorps, before but this sounds like a book I would enjoy. Great review!